In order to help the families and friends of persons with dementia, caregivers must be well informed about the physical and emotional compromise that exists. Learning to use therapeutic communication and education can minimize fears and eliminate burdens for family and friends, as well as for the person with dementia. Utilization of non-verbal communication skills and ethical discretion can change an average caregiver into an exceptional advocate and support for those families and friends. 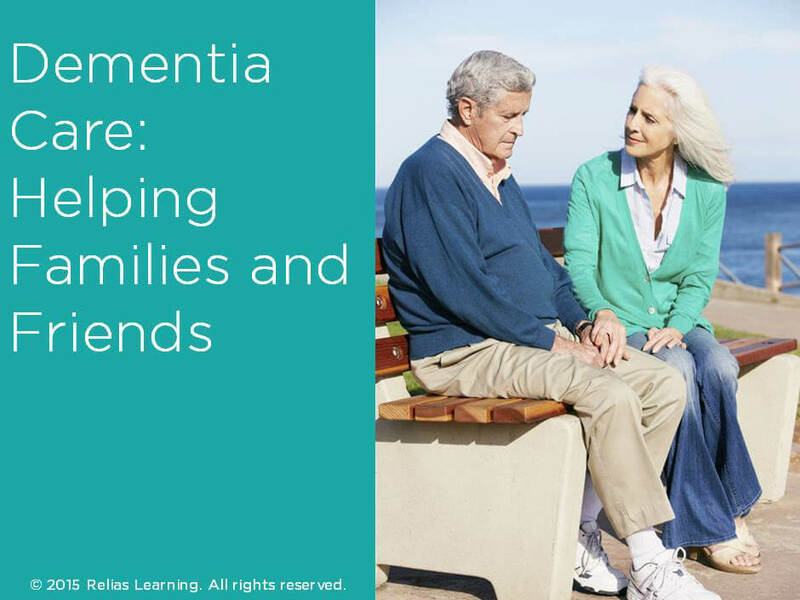 In this course, you will learn about the losses experienced by the loved ones of persons with dementia and family reactions to these losses. Recognize grief, loss, and suffering of family members as a secondary responsibility for the care-giver. List four types of loss that family members experience. Ms. Flossie is a licensed nurse, nursing home administrator and Vice President of Altercare of Ohio, Inc., where she is in charge of Alzheimer’s programming. A graduate of Hiram College and Ohio State University, she has written curriculum and provided training for medical professionals at every level, from Residents and Interns to Nursing Assistants. Her expertise in dementing disorders has evolved over 34 years of research, study and care delivery. She has presented and educated professionals, paraprofessionals and the public at National, State and Local levels and served the citizens of Ohio as Vice president of the Ohio Board of Nursing from 2002 to 2005. As an instructor and public speaker she brings over 30 years of reality, from first-hand experience, to help enhance the knowledge and skill levels of caregivers. Disclosure: Mary Jean Flossie, LNHA, LPN has declared that no conflict of interest, Relevant Financial Relationship or Relevant Non-Financial Relationship exists.